We check over 450 stores daily and we last saw this product for $18 at Free People. 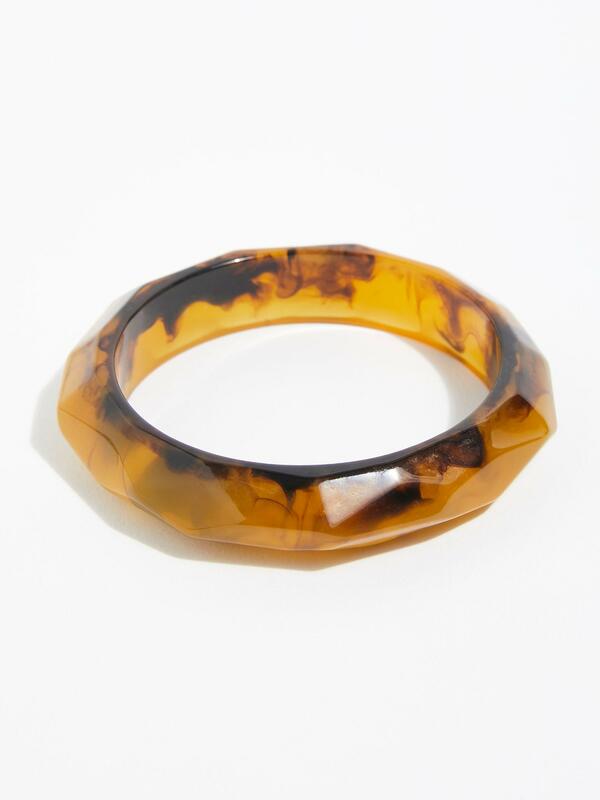 Marbled resin bangle featuring a 3D geometric shape. 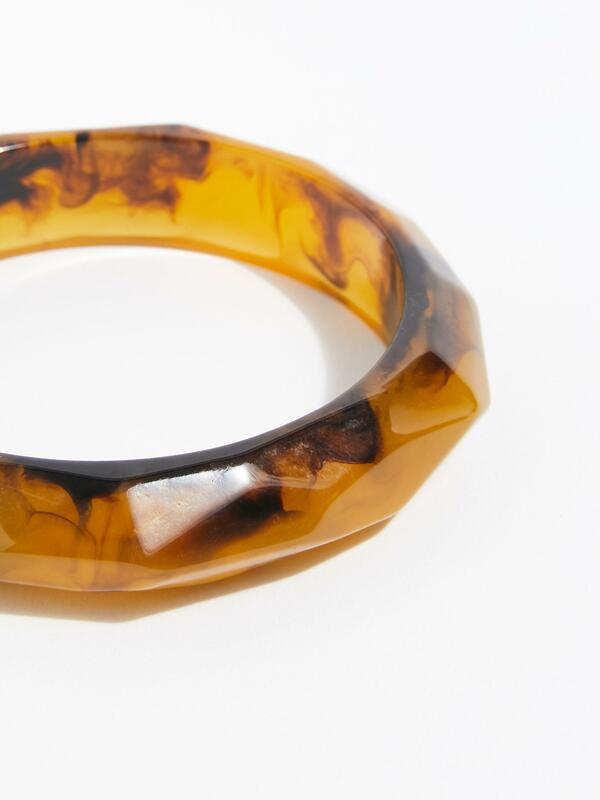 Translucent. Import. Resin.